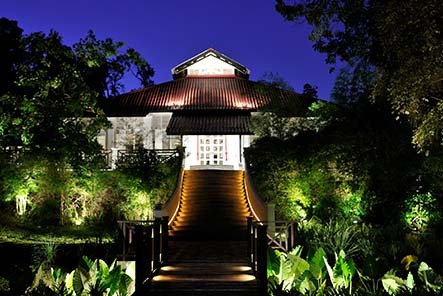 A boutique property featuring 20 alluring rooms and a spacious garden, Villa Samadhi offers the ultimate in luxury, privacy and exclusivity. Offering a one-of-a-kind venue and an unmatched ambience that inspires adventure, hold your celebrations under our African stretch tent. 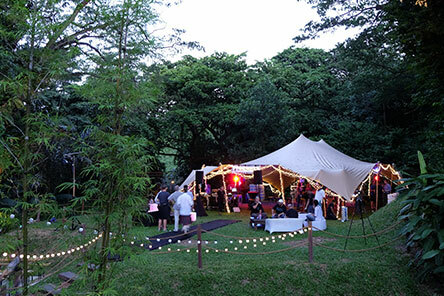 The first of its kind in Singapore, the 12 by 15-metre tent was specially created in South Africa and assembled within Villa Samadhi’s lush garden. This fully customised piece, based on the design of the original fabric tents used by Bedouin nomads, can accommodate up to 100 seated guests. Moulded for the environment, African stretch tents are a distinct style of tent, consisting of sheets of fabric with posts and ropes and are easy to move around and set up. As part of space, the fluidity of the stretch tent blends effortlessly to become a part of the environment, making it a striking statement venue. Wedding and event packages are available, and will include the complimentary installation of wooden floorboards, halogen and fairy lights, and the rental of round tables and tiffany chairs.